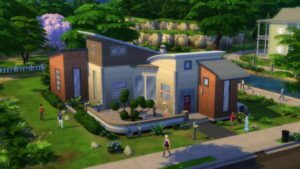 The aesthetic of the Sims is very lighthearted and while there are some aspects of the look that are stylized, The Sims is very physically based. 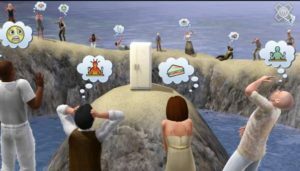 The colors, lighting, and body shape of the Sims are based on real humans, and the same can be said for the environment. The greatest technological feat of the Sims is the pure scope of the game. There is complex artificial intelligence at work as well as vast decision-making trees that help the achieve the feel of a true sandbox game. Rarely are there times where the user says “I can’t do that” due to the game not allowing it. In my opinion, the strongest part of the Sims is the customization of characters. Users are allowed to create their own character, with little to no restraints. However, the fascinating thing about this practice is that the average player will create themselves first. Or rather, create their own “avatar”, an idealized version of themselves. Through this, players humanize their characters and are able to emphasize with them. Instead of saying “This character is staying up too late” a player will say “It’s 1am! Why am I still awake?”. I find this interesting, because the player truly feels as if they’re in the environment. Additionally, the player is able to give their characters certain traits, goals, aspirations, and favorite things. These are all so trivial and non-essential to the main gameplay, but a player will fill out everything according to what they like, if only for the sake of their character being a little more excited than usual when eating pancakes. On that note, there’s a stranger and slightly sadistic side to Sims where players want to see just how far they can push the story. For example, what happens if you put a kid in a pool with no ladder out? Or can you kill your rich neighbor, swoon his wife, and inherit all of the family property? 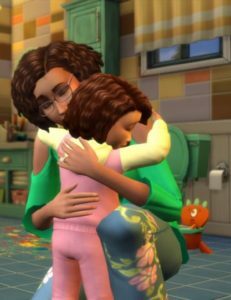 Although in most cases people will treat the Sims as real life, they will sometimes treat it as a sandbox where there are no consequences but your own satisfaction. So while you may never lock an annoying coworker in a room with no doors in real life, you might do that in the Sims just to “see what happens”. What makes the Sims unique from any other game is the amount of freedom to be as microscopic or macroscopic as you want to. There’s an extensive and very detailed architectural simulator that will let you create any extravagant type of house you want. However, you can also buy a pre-made house in order spend more time focusing on your Sim’s career as an astronaut. The true beauty of the Sims lies in its freedom. The player can create their own narratives based on what will make them happy. For some, it’s creating a giant family with numerous generations, watching each Sim grow and live and die. For others it’s a quest to master guitar while balancing their career as a chef, or making friends with as many Sims as possible. 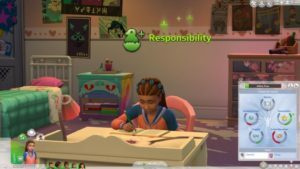 I believe that you can tell a lot about a person based on how they place the Sims, since what they choose to focus on is a reflection of what they deem most important. 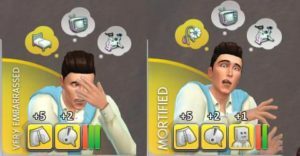 The developers of The Sims do their best to try and reduce the number of constraints that are on the player. Like in real life, the only things that would stand in the player’s way is their basic human needs. They can’t become a major league athlete if they don’t get adequate amounts of food and sleep, and they can’t pull multiple all nighters if their stress levels are too high. 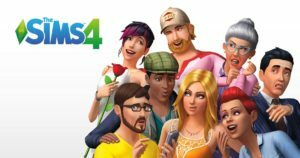 However, these constraints help to humanize the Sims, rather than frustrate the player. This entry was posted in 2012/13 Semester 2 by e0268728. Bookmark the permalink.